RevenueHits Text, Mobile, Popunder advertising network details. 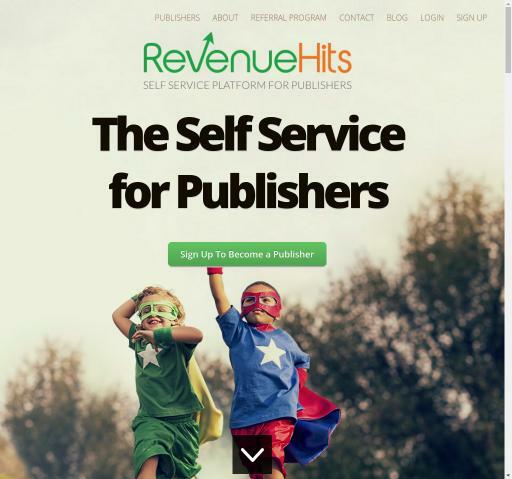 RevenueHits uses Contextual and Geo Targeted Ad Serving technology in order to generate higher revenues for the publishers. Their main focus is to help publishers monetize their online assets using an innovative CPA Ad Network. First you create a Placement for a specific device and screen size, then you Implement a Tag, which is a sequence of code that allows you to see a preview of your ad space, afterwards you can see real-time stats regarding your campaign and last but not least, RvenueHits will handle the billing process. Check the reviews on Affbank about RevenueHits and for any details regarding their Target Audience, Pricing Models and Advertising Formats, reach the Information section.